With each post, Bisous and I are having more fun here and gaining more and more creative energy. Creativity is awesome because its a positive energy that wants to creep into every part of your life. Letting creativity lead the way even just a little results in all sorts of fun surprises. 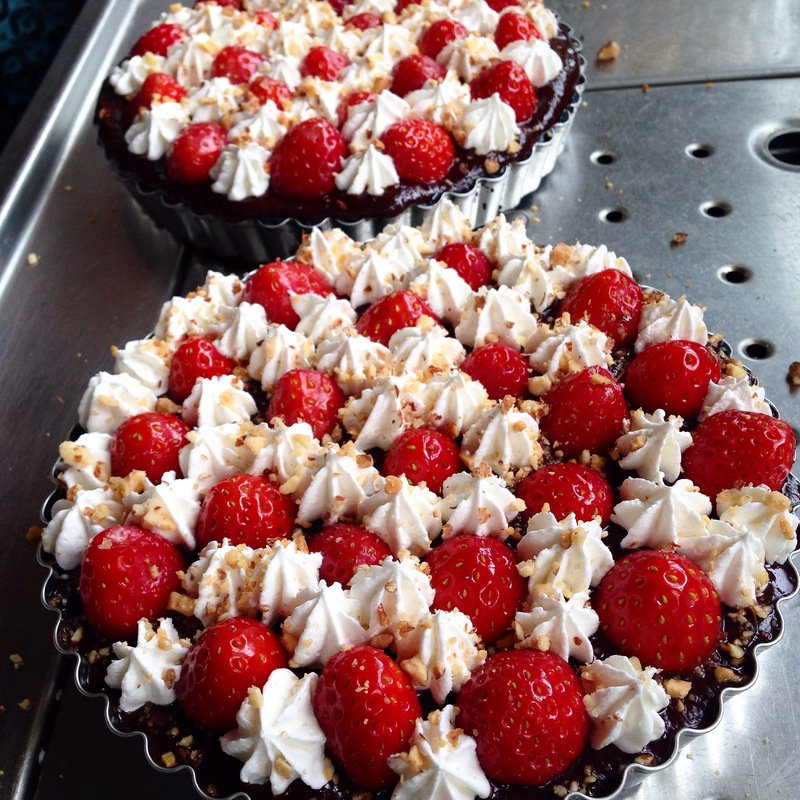 A friend and I recently got creative in the kitchen and created these beautiful and delicious tarts! Even when I don’t have time to sit down and work on an “art project,” releasing my creative power to prepare nourishing meals keeps me, well, sane, but happy, too. We added/altered some ingredients to serve our tastes. (That’s the creative part!) We also adjusted some of our methods. See comments below for our personalized recipe.